May 15, 2014---Primatologist Patricia Wright, who studies the endangered lemurs of Madagascar, has won the largest prize in the field of animal conservation: the Indianapolis Prize. 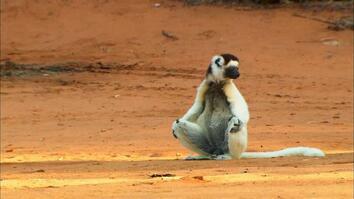 Wright, a National Geographic grantee, hopes the award will shed a light on Madagascar and its lemurs. She has spent decades researching lemurs and working closely with the local people to protect the animals. As the first woman to receive the $250,000 prize, she also hopes to inspire the next generation of conservationists. In New York is where I met my first monkey. It was in a pet store. My husband and I were going to see a Jimmy Hendrix concert and strayed and went across to see this beautiful monkey. But nobody knew about it at all. It was called an owl monkey. And that started me on my adventure on being a primatologist. I had no idea at that time that’s where it was heading. But my life really changed. The first time I saw a lemur in the wild it was just amazing! They’re such extraordinary creatures. And there it was, way up in the trees. Beautiful animal! And there are so many different kinds. And I love them all. 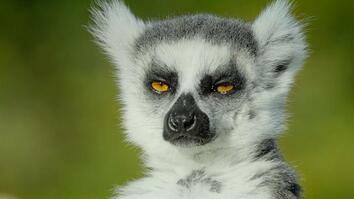 It’s extremely important to protect lemurs because they are our earliest ancestors . And we have so much to learn from them. Um, so far we’ve found out that of the little mouse lemurs actually get Alzheimer’s—plaques and tangles in their brains. And we’re looking at how that knowledge can help us to understand that Alzheimer’s better. From the very beginning of my project to establish a protected area for a new species of primate that I had discovered, I realized that we had to incorporate the villagers around it. Now, I’m not a person that was trained at all in how to make a national park. So, I think one of the early ways that we bonded was that we were working that out together—the villagers and I. You know, how do we establish a national park but also how do we actually make the people around the park value that and receive economic gain from the park. And so this relationship that started in 1986 is now going on today where I’m still visiting the same villages. Their economy has improved, especially because of Ecotourism. The work that Pat’s done, particularly her in national park work, can be replicated all over the world with thousands of different species. She is a first-class scientist but she’s also a first-class strategist and a first-class administrator. And when you put all that together it’s pretty unbeatable. WRIGHT: I was so excited to hear that I was the first woman to be honored with this Indianapolis Prize. And I’m hoping that by being the first woman, I can inspire many young women that they can go into Science, they can do very well. The fact that she’s the first female winner, I think, is fantastic and is really a testament to her strength and determination in what could otherwise be perceived as a very male-dominated field. What I saw from Pat is it didn’t matter what the gender was. If you were a good leader and if you knew what you were doing and if you were kind to the local people, you were going to accomplish things. 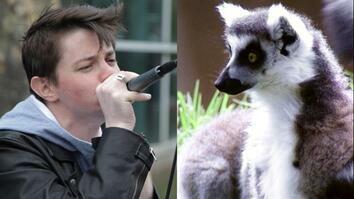 WRIGHT: You know, there are 103 species of lemurs and 91% of them are endangered or threatened or critically endangered. They really need help. They’re on the forefront of Conservation. And so I’m hoping that the Indianapolis Prize will bring that spotlight to Madagascar.